The women of the Peninsular Chapter of the Eastern Star are all outfitted in formal period dress. 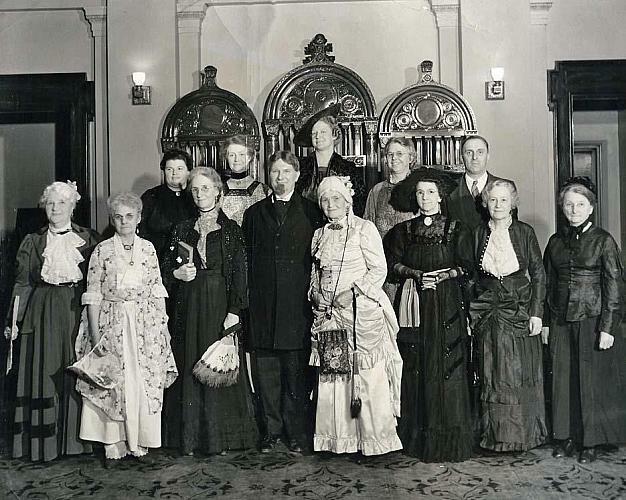 Unfortunately, the only name recorded is that of Peter T. Hendricks, standing front row center, also wearing period attire as well as a false beard on his chin to complete his costume. The location is uncertain, but might be the Masonic Temple on E. Fulton. The date, October 5, 1940, is noted on the back of the photograph.